Available in 96.0 kHz / 24-bit, 192.0 kHz / 24-bit AIFF + FLAC and 2.8224 MHz, 5.6448 MHz, 11.2896 MHz DSD / DSF high resolution audio formats. 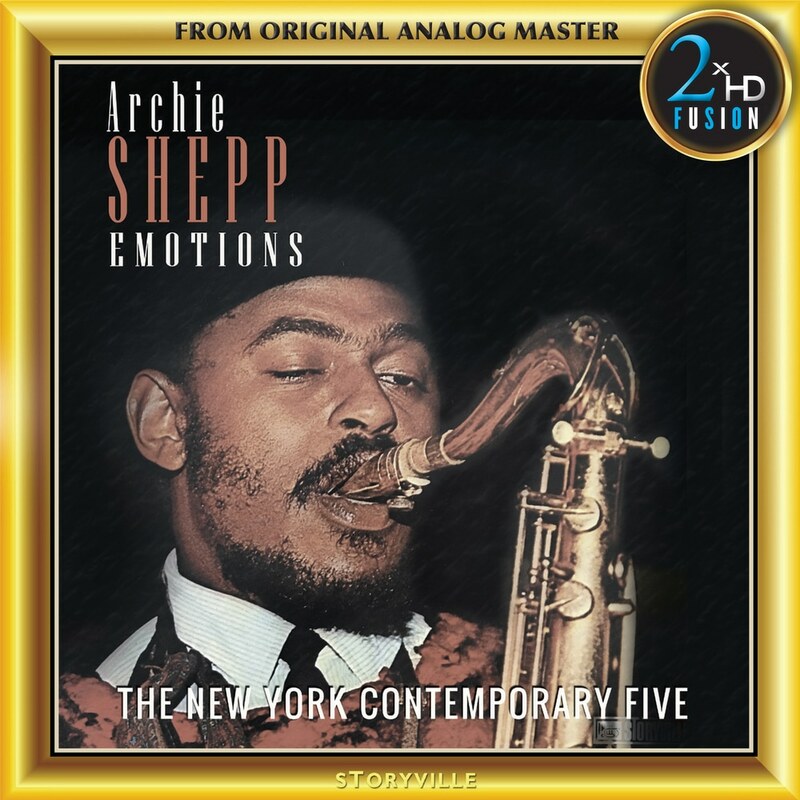 Saxophonist Archie Shepp is best known for his passionately Afrocentric music of the late 1960s, His tenor sax solos were searing, harsh, and unrelenting, played with a vivid intensity while he was viewed as perhaps the most articulate and disturbing member of the free generation. In this album he performs with the avant-garde jazz ensemble The New York Contemporary Five, "a group which, despite its short lease on life, has considerable historical significance", laying "the cornerstone of what might be called the mainstream of free jazz”. The mastering chain consists of a selection of high-end vacuum tube equipment. For the recordings on this album, the original ¼” 15 ips CCIR master tapes were played on a Nagra-T tape recorder, modified with high-end tube playback electronics, wired with OCC silver cable from the playback head direct to a Nick Doshi tube head preamplifier. The Nagra T, with its four direct drive motors, two pinch rollers and a tape tension head, has one of the best transports ever made. A custom-built carbon fiber head block and a head damping electronic system permit 2xHD FUSION to obtain better resolution and 3D imaging.